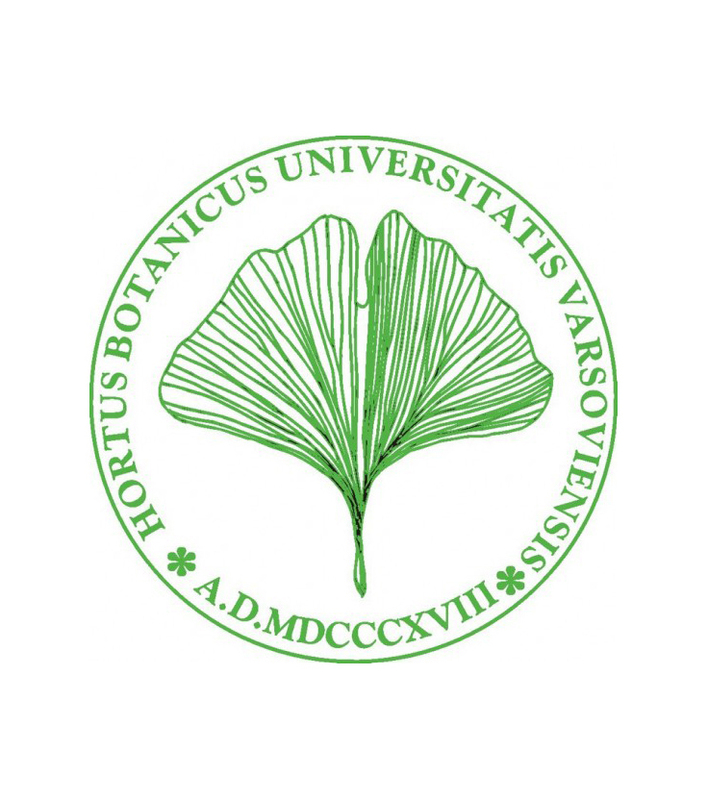 The logotype of the University of Warsaw Botanic Gardens, courtesy University of Warsaw Botanic Gardens. Ogród Botaniczny Uniwersytetu Warszawskiego (University of Warsaw Botanic Gardens) was established in 1818 under the auspices of the Warsaw Medical School. In the nineteenth century, under the curate of Professor Jakub Fryderyk Hoffmann, the first botanic gardens in Warsaw were opened adjacent to the Kazimierzowski Palace. In 1814, Prof. Hoffmann presented the official plan of the garden and drew attention to the necessity of arranging the plants according to the Linnaeus system (when the garden was first formed, the plants were organized at random, without regard afforded to their needs or classification). Furthermore, Hoffmann highlighted the educational role of the garden, as well as the necessity of reproducing and propagating the plants. After its relocation to the so-called Royal Garden, the site significantly developed. The areas of the Garden were divided into three parts: a scientific space – dedicated to the taxonomy of plants; a pomological space – featuring a collection of fruit trees (intended for educating future gardeners); and a recreational space – an area designed for the public. In 1944, during the Warsaw Uprising, all of the garden buildings and hothouses were destroyed, with the entire area reduced to cinders. In 1945, Prof. Bolesław Hryniewiecki, together with Prof. R. Kobendza, his wife, Jadwiga Kobendza, and others, started working on the reconstruction of the destroyed garden and its further expansion. By 1987, it was returned to its proper, pre-war state, when the Department of Biology of Plants regained its historic form and the collections of roses, creepers, medicinal and domesticated plants were refined and enriched. The garden’s collection currently counts approximately five thousand plant species. The exhibition Making Use features several dozen specimens from the collection of the Warsaw University Botanic Gardens, a contribution to the debate on the relationship between the animate and inanimate in a museum space, the status of an object in an art museum space, and, further, on the potential for a trans-disciplinary institutional collaboration. In spring 2016, an artwork from the collection of the Museum of Modern Art in Warsaw will be displayed on the grounds of the Warsaw University Botanic Gardens. The report presented in exhibition consists of thirty-five botanical specimens loaned to the Museum of Modern Art in Warsaw for the duration of the exhibition. Courtesy Ogród Botaniczny Uniwersytetu Warszawskiego.